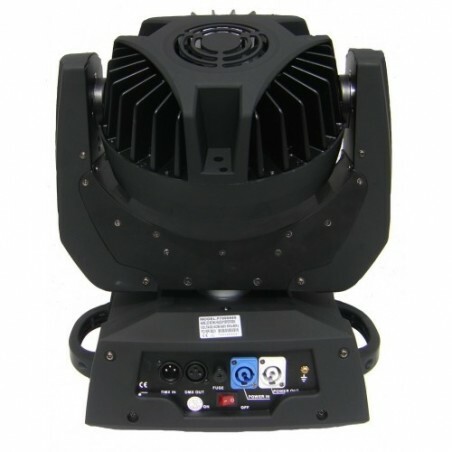 The new LED MOVING HEAD STRONG 108x3W LED's of 3W each. 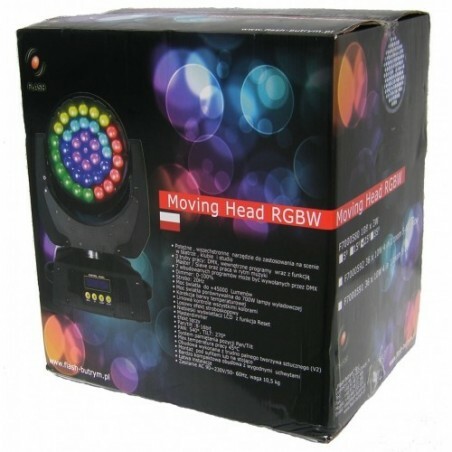 It projects a powerful beam of light of different colors, dynamic lights and strobe effects. 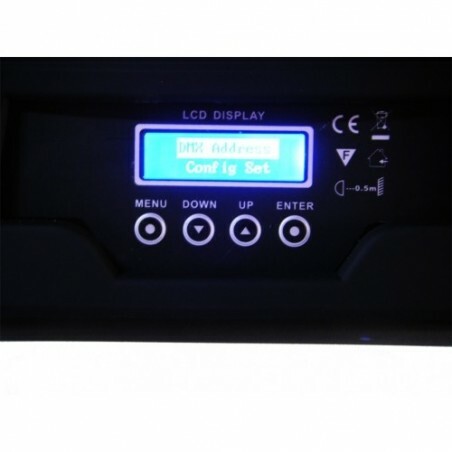 Allows manual operation, using preset programs and DMX512. To be installed on flat surface (ground) or a clamping bar (roof). 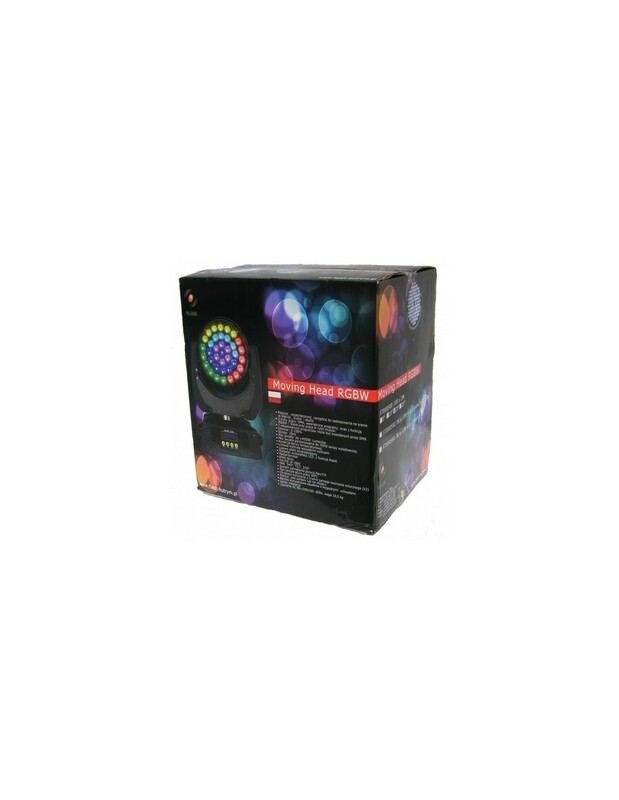 Specifications Size: 435 x 330 x 230 mm . 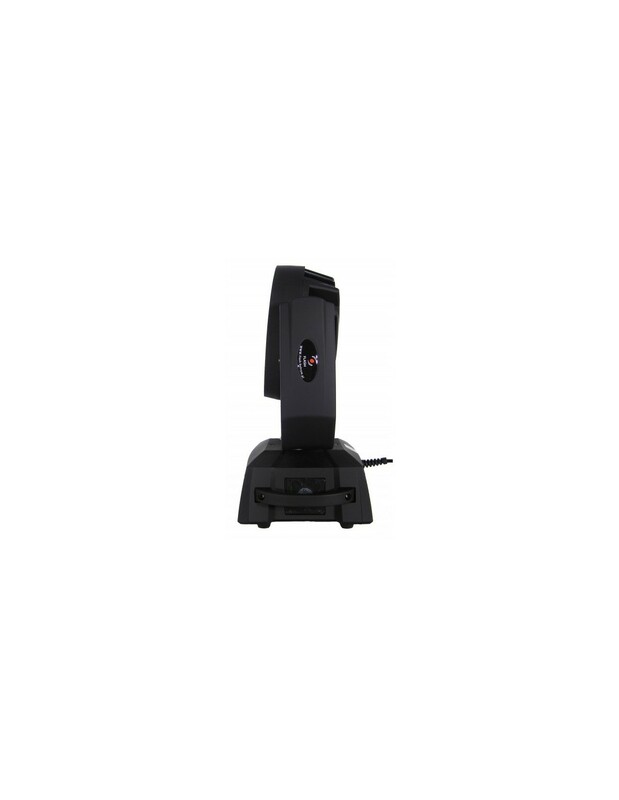 Weight: 11 Kg Voltage: AC-110V/60Hz,AC220 V50Hz, power consumption: 360 VA (220 VAC) . 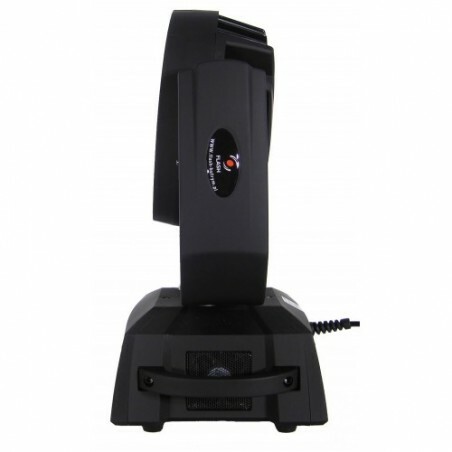 Lamp: 108 Edison LED high brightness 3W LED . 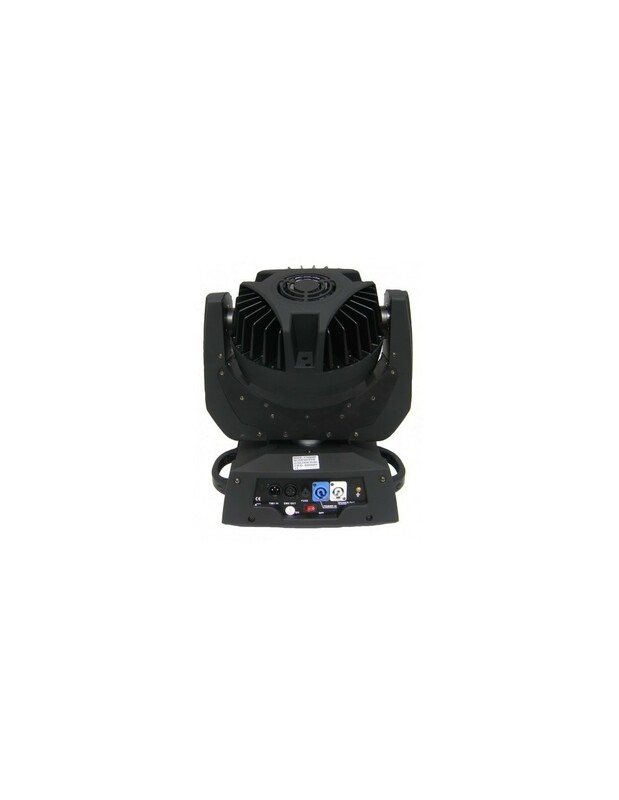 Distribution LED colors: 18 R, 36 G, 36 B and 18 W. Lamp Life: 60,000 to 100,000 hours . LED Angle: 25 degrees . displacement and tilt movement with 8-16 bit resolution. Dimmer: 0-100% electronic . 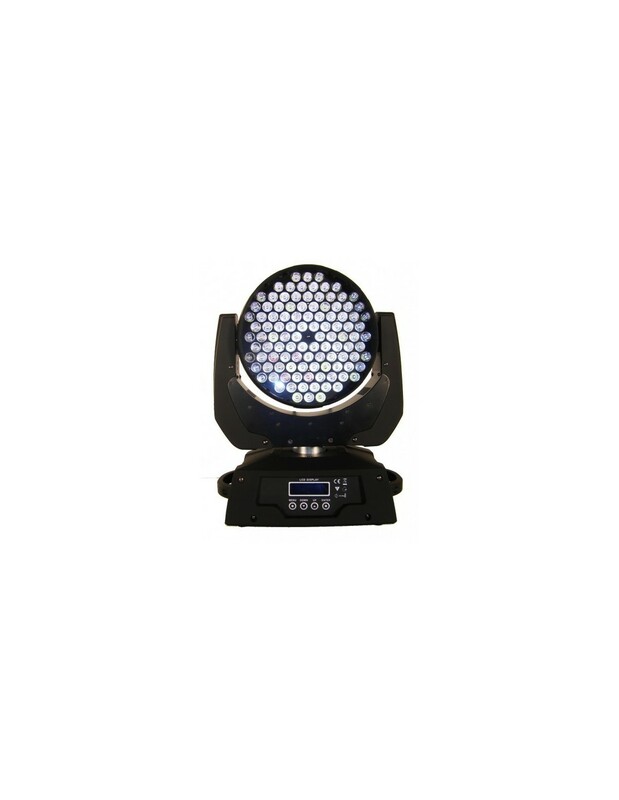 Strobe: 0-25 flashes per second. Configurable. 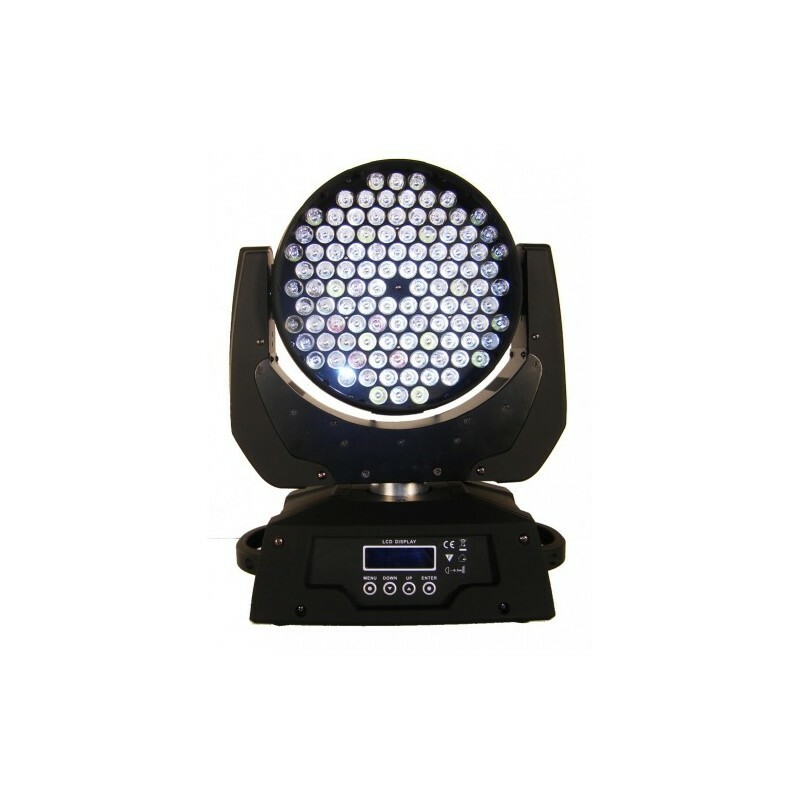 Strobe flash: Flashing high speed, flash, blackout and high speed adjustable effects and speed . 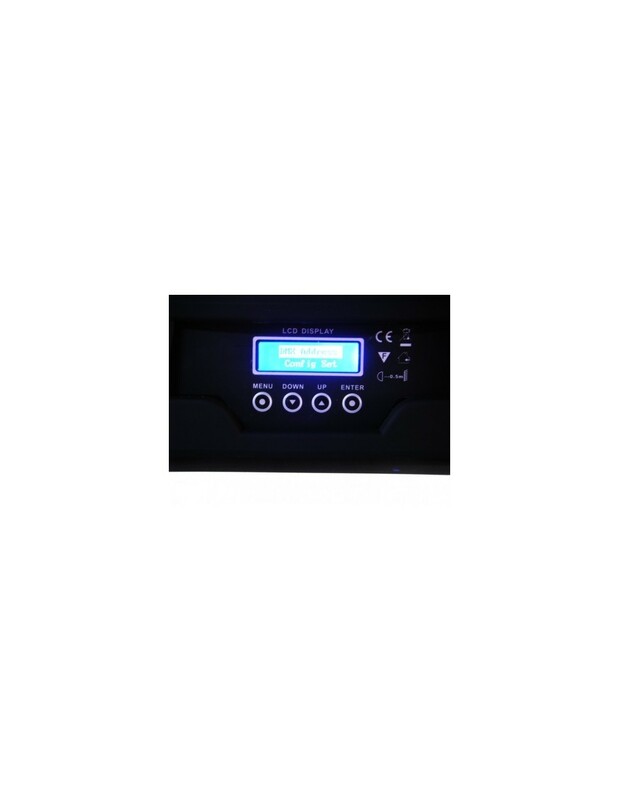 Control: internal CPU that controls the entire system automatically or by DMX512 interface . Chassis: Plastic cover, solid, with handles for easy transportation and professional patrician . Fan: internal 12 VDC fans . graphical Control Panel and 4 push-buttons for programming operating modes. 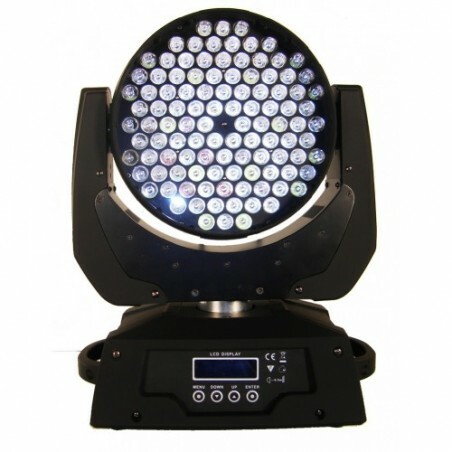 13 channels of DMX512 control. Work automatic preset programs. Operating manual to user configuration.